Newberg's Coffee Cottage will host several performances throughout January, including two frequent acts from past years. 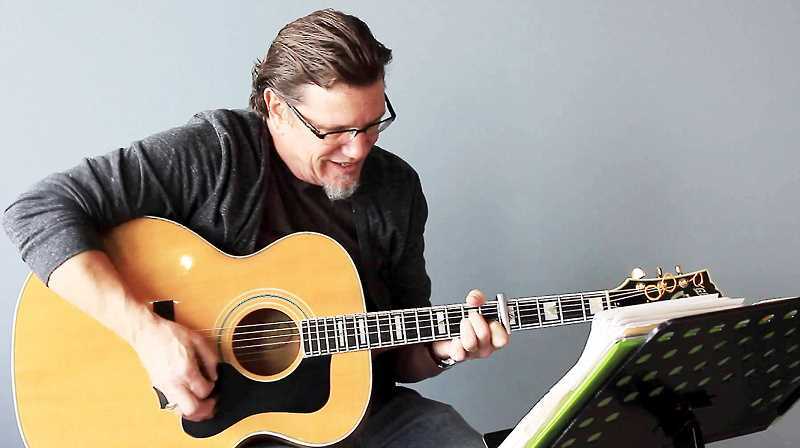 Beginning Friday with longtime performer Tim Ueker, Coffee Cottage will kick off its 2019 slate of shows. Ueker has performed several times at the popular coffee house, including as recently as Dec. 21. A singer and songwriter originally from Washington, Ueker plays mainly folk music, but extends also to other genres, such as blues and reggae. Ueker previously told the Newberg Graphic he writes "story songs," meaning his music and lyrics involve his life or the lives of others he knows. Ueker, like all other performers, will play from 7 to 8:30 p.m. at the 808 East Hancock St. location. Following Ueker's performance, the Coffee Cottage will not host a Friday concert, as the evening is being used for a company party. Instead, the following night, the coffee shop will host an open mic night for local singers. The evening kicks off at 7 p.m. and performers can sign up until 6:45 p.m.
On Jan. 18, classical guitarist David Rogers will return to Coffee Cottage. Like Ueker, Rogers frequently performs at the coffee shop, having most recently played there Dec. 28. Rogers plays a blend of jazz and classically inspired compositions and his work has been praised by both the New York Times and the Washington Post. He has stated he likes to play the Coffee Cottage since it is owned by musicians, and he has developed a solid following in Newberg. He previously said his work is influenced by New York contemporary jazz, especially musicians and guitarists in the tradition of trumpeter Miles Davis. He added that he's also heavily influenced by 16th century instrumental music, such as the kind written for lutes. Rogers' set lists generally tend to be similar, although he said he does work to incorporate new songs and compositions and that he tries to have variety and contrasts in his performances. In addition to his own compositions, he does some cover songs, including compositions of Leonard Cohen and Rolling Stones songs. Folk and gospel singer Marj Hegeman will round out the month, playing Jan. 25 at Coffee Cottage. Hegeman, a Newberg resident originally from the San Francisco Bay Area, last played at the venue in the fall. Hegeman, who performed earlier in her career as Marj Snyder, is a music teacher at the Veritas School in Newberg, and on the school's website she said she recorded four solo albums before the age of 20 and sang in Young Life groups around the country. Although Hegemen didn't record any more albums after those first few, she's continued to perform her Christian folk music. In 2004, she began teaching at Veritas, after living in various cities around the country. The Chehalem Cultural Center will host its annual Martin Luther King Jr. Day celebration Jan. 21. This year's theme is "A Message of Hope" and the event features spoken word, musical, vocal and dance performances. Guest speaker will be Dr. Miles Davis, president of Linfield College. Doors open at 5:30 p.m.
George Fox University will hold a spring faculty recital from 7:30 to 8:30 p.m. Jan. 18. The recital, put on by the music department, will be held in the Bauman Auditorium. McMinnville's Gallery Theater will host the show "It's Only a Play," from Jan. 18 through Feb. 3 in the Arena Theater. The off-Broadway play by Terrence McNally is recommended for audiences 17 or older. Tickets for the nine performances are $18 for adults and $15 for students and seniors. Call 503-472-2227 or visit gallerytheater.org for tickets. On Jan. 19, tickets will be available for buy one, get one half off.